Cross, west face, detail of panel from the shaft. This is the second panel from the bottom of the shaft. 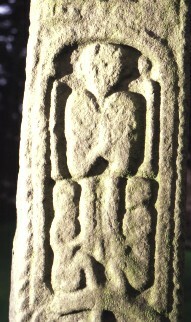 It has a standing figure and two figures sitting below it, facing each other.